Becky Jones has been with Taylor King Law for 8 years: she began her first two years in reception, and has now been a part of our intake department for six years. Outside work, Becky is involved with her church, Manchester Methodist Church, established over 150 years ago by her husband’s great, great grandmother. She also leaves Taylor King Law each day to teach children at Gymnastics Plus the “awesome sports of gymnastics and cheerleading.” And in her limited free time, loves to garden, and share her abundance with others. She’s happiest when with her family. 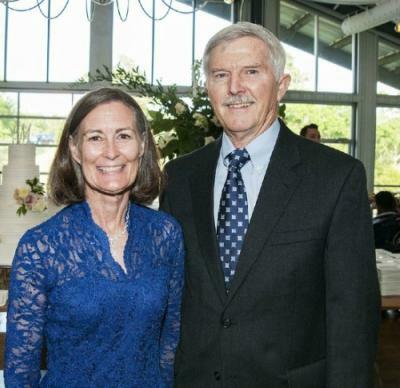 Becky’s husband, Ron McCaskill, who she’s been married to for over 40 years, “is a Southern Gentleman, who blesses [her] every day with acts of kindness.” [See Picture Above] And their son Barry, and his wife Haley, had Becky and Ron’s first grandchild in December. Favorite place she’s traveled to? Becky back-packed Europe the summer after graduating from college: “I fell in love with the beauty of the Swiss Alps and always thought I would return.” Her current bucket list, though, includes a future trip sky-diving! Favorite way to spend a Saturday? It’s a tie between working in my garden and holding my precious grandson. Favorite way to spend $20? Surprising someone in need. Favorite place in Arkansas? Home sweet home, in the country. Favorite thing about working at Taylor King Law? Expanding my education of people.